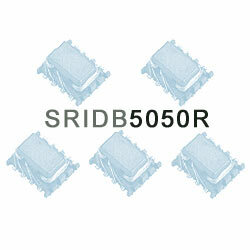 The SRIDB series has high common mode impedance in small size. The SRIDB series is effective for common mode noise suppression in digital equipment which radiation is caused from cables. 1. Common mode impedance: (1) 100MHz: 90ohm~500ohm. (2) 300MHz: 250typ.~900typ. (3) DCR: 0.10ohm~0.16ohm max.